Taken on Canon AE-1 Program with a 50mm lens and on Ilford XP2 ISO 400 film. 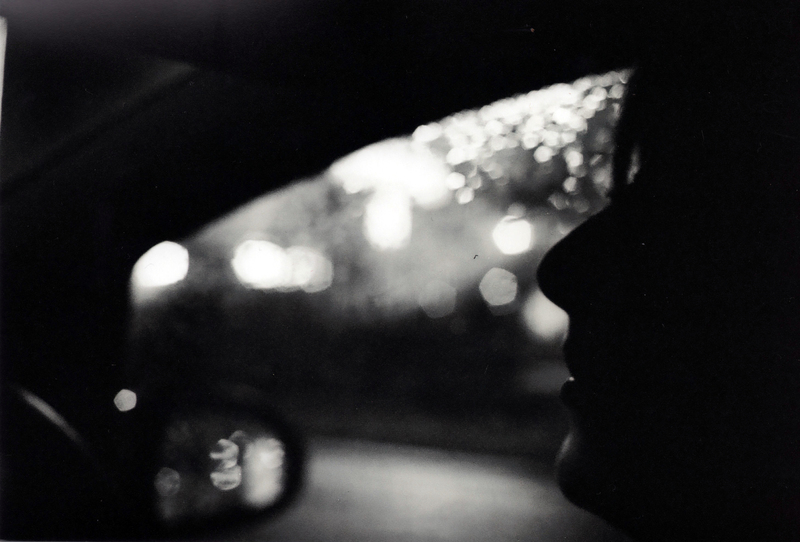 This is a shot of my girlfriend driving at night taken from the passenger seat, it’s clearly too dark to make out many features, which is what I like about this, it’s simplistic. The most in focus object, my girlfriends face, happens to be the darkest and the lightest objects are nothing but a pleasing blurred bokeh of light, it makes a nice contrast. It helps that it was a particularly wet evening so the lights stand out on the cold damp window glass. I also like how the wing mirror adds and extra light source, reflecting the light and making the silhouette stand out more.